Former EE marketer Anna Greene has launched a "straight-talking", design-led baby brand Milk + Poop this week. She talks to Campaign about how the idea behind the business became reality within just 14 months. During the first months of becoming a parent, most couples grab any moment they can in an attempt to recover from the sleep deprivation and non-negotiable demands of a newborn. Not Greene and her husband Daniel Greene. After struggling to find modern furnishing for their son’s bedroom, they fought off the fatigue and decided to form a business. Greene's background in marketing (she featured in Marketing’s Next Generation 2012 Power 100) and her husband Daniel Greene’s role as creative director at branding and design consultancy Wolff Olins meant that when a gap in the market presented itself, they decided to fill it. "It led us to think about creating something for modern mums and dads," Greene says. "Everything was stuck between cutesy family decor and very expensive ‘Scandi' designs. There was nothing that felt like us." 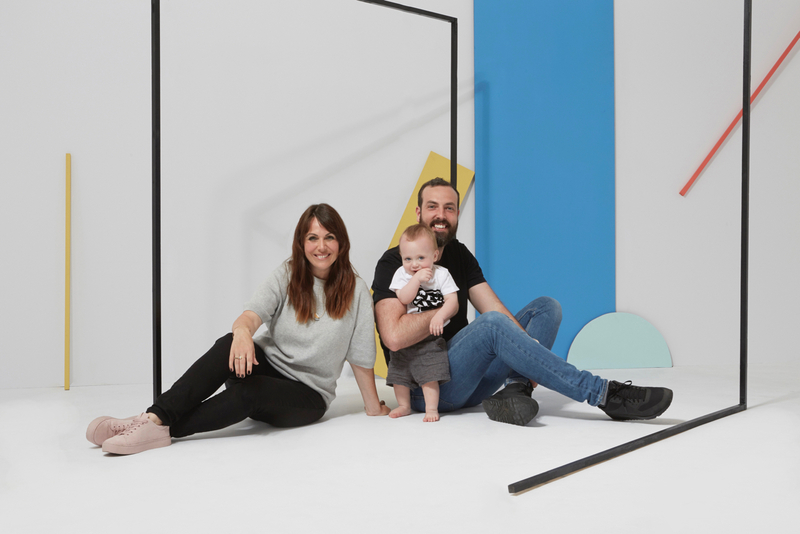 While Milk + Poop has partnered with a number of brands, including Crown Paints and Mama Designs, the majority of the product line-up is designed by the Greenes themselves. 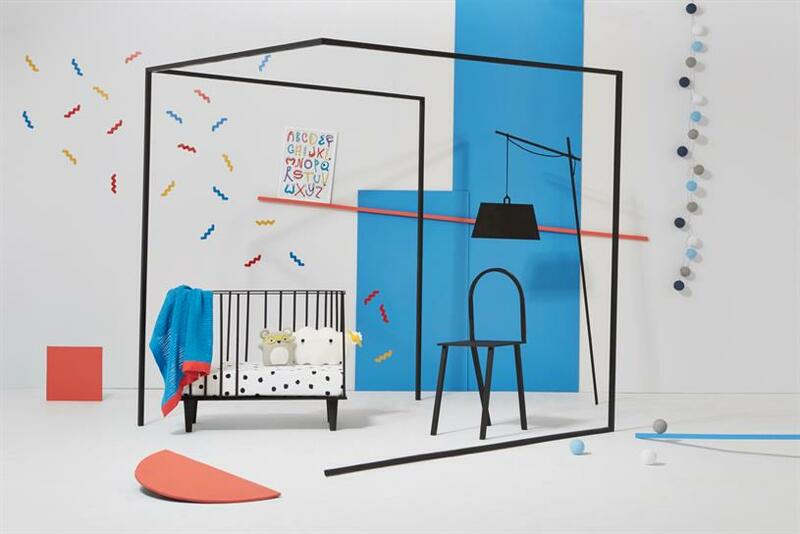 Milk + Poop features a range of co-ordinated, stylish baby furnishings, from posters, bedding, toys, accessories and paints — all contained in a single box. Price-wise, Milk + Poop is positioned as affordable, between the lower and higher-priced ends of the market. "It doesn’t just come from design that’s more affordable, but also from the completeness of the offering," Greene says. "The premise is that customers can buy one box for the complete look rather than wait in for a load of deliveries. "It simplifies the whole process. You can buy a pack from us and it’s got everything you need, including 20% off Crown paints. Everything is co-ordinated, from posters and bedding and toys to lighting and the paint, all in one box." The simplicity of the design and the straightforwardness of the product offering is underlined by the name of the business. While its scatalogical directness might put off some consumers, Greene says that it was born out of the attitude of wanting to be more honest and upfront about parenting. "Hopefully people don’t see the name as crass," she said. "For the people we spoke to, it put a smile on their face. "I was inundated with sickly sweet brands and images of mums and dads that felt far removed from the world I was living in. Parenting is not just sickly sweet, it’s funny and messy and exhausting. I don’t feel like that’s expressed in the industry." Milk + Poop currently features three distinctive looks. "Electric youth" is a monochrome collection featuring slogans such as "Eat. Sleep. Poop. Repeat"; "Peppermint sugar" uses cool pastels and greys and hand-drawn illustrations; while "Monster squiggles" combines reds, blues and yellows with pictures of monster characters. Starter packs are priced from £50 and include a framed A3 poster and cellular blanket, an essentials pack costs from £125 and a full pack is £250. Customers can also mix and match from the various collections. In terms of marketing, as a start-up, Milk + Poop’s budget is modest. The nature of the Milk + Poop brand and its products is around style and aesthetics. Therefore Greene is keen to use social in particular to visually communicate the brand. "There’s an incredible community of mums on Instagram," she says. "I’m talking to a number of bloggers about the launch and we’ll see if they want to do reviews, while we’ve got a number of exciting events coming up at Christmas." The business also has collaborations lined up for the new year and is in talks with designers. "This is a family-run business and we want the marketing to feel authentic and grassroots," she says. "We don’t want to go down the broadcast model." While at launch Milk + Poop’s retail model is focused on the website, Greene says that she is talking to a "couple of independent retailers, those with a good brand fit, who respond really well to the idea". Meanwhile, she is not averse to the notion of partnerships with more mass-market retailers. "We’d love to look at it in the future, to make the product more accessible to people," she says. "It’s about finding the right partners at the right time." The future could also lead to forays into other areas, kids-wear for instance. "I do feel like it’s a cluttered market but I also feel that there will be opportunities to extend the brand," she says. "The core design is solutions for modern parents and that applies to many other industries, whether that’s travel or entertainment. I’d love to see where it takes us, but right now we’re focusing on launching the core brand and products." Work/life balance: Is media getting the balance right?